A 20-hour course designed to get you teaching English online. Work at your own speed and learn about this fast-moving EFL teaching sector. Combines guidance on setting up independently as an online English teacher with lists of some of the top companies you can work for. Interactive: PC/Mac/tablet compatible. Work on our interactive platform. Good internet access required. New for 2018, this course is essential for anyone interested in Teaching English Online (TEO). With guidance from TESOL qualified personal tutors who have experience in teaching English online, this course leads to a specialist teaching English online course certificate upon completion. With specific sections on different online teaching platforms, materials and resources, managing groups online and working with one-to-one students, you’ll have the opportunity to increase your knowledge and ability to teach English online. Written by EFL professionals with a wealth of TEO experience, this course gives insight into valuable teaching techniques and provides useful material and lesson ideas. You'll find sections on setting up independently, giving trial lessons, managing your online business, as well as different companies you can work for if you are seeking employment, either as a native or non-native online English teacher. This course is ideal if you’ve got a good broadband connection and can work entirely online via a tablet/PC/Mac. You’ll complete interactive exercises, create lesson plans and view video and graphics that bring the course to life. This course is for existing EFL teachers who wish to enhance their career and learn more about teaching English in an online environment. However, it's also suitable to take alongside one of our main Global English TESOL courses if you are training to become an EFL teacher. Our courses are open to all native and non-native English speakers over 17 years old with good written and spoken English. If you are a non-native English speaker, please see the course eligibility requirements on our FAQ page. Remember you can always ask us if you are not sure about your level of English. We also welcome application from schools wishing to train their online English teachers in-house. Please contact us for more information. This 8 module course is approx. 20 study hours and typically takes between 3-4 weeks to complete, but you can go faster or slower than that if you wish. Because many of our trainees are balancing work/life commitments, we go at your speed and allow up to six months for course completion, far longer than many other online courses. 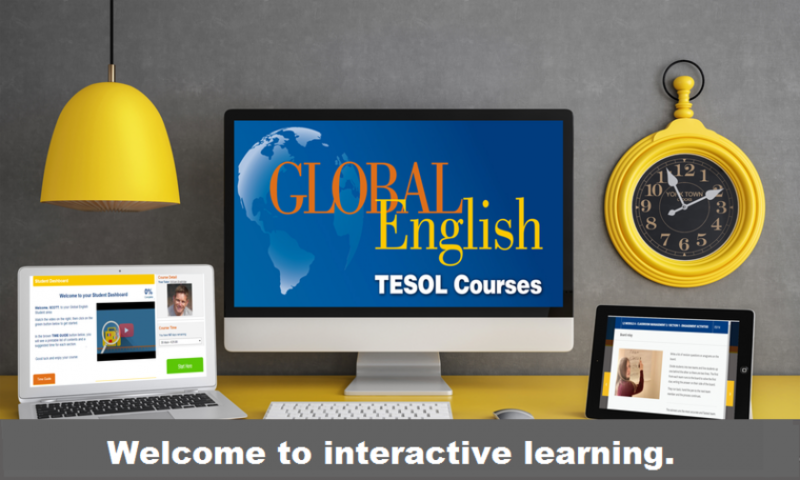 This course blends perfectly with the Global English TESOL Business course or the Global English TESOL Young Learners course for an additional 10% discount. It's also included in our 300 hour TESOL Professional course. This course covers teaching English online material in 8 modules, in addition to an introduction and conclusion. Using interactive HTML5 to present information, trainees answer questions online. 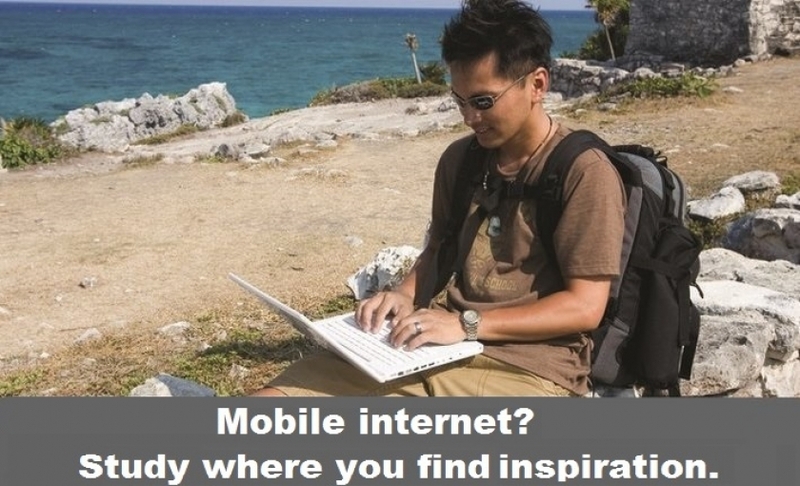 Note that you need to be internet connected and that the course cannot be completed offline. This course was just what I needed to learn about Teaching English Online and how it works. I learned about different companies that I could work for, how to go about teaching independently, also what sort of teaching techniques and resources are suitable for online lessons. There was a good mix of interactive questions with instant feedback, and questions which required written answers that were submitted via the Student Dashboard – my tutor reviewed my answers and gave written feedback, helpful suggestions and comments. I received exceptional support from William, my tutor, and my work was always marked quickly. The two online meetings that I had with him as part of the course were a great way to experience different platforms that can be used for teaching online, also what an actual online lesson is like. Online learning is growing in popularity, especially among younger learners. If you need flexibility, perhaps online teaching could be suitable for you. Take this TEO course to find out more, gain specialist knowledge and earn yourself a certificate to boost your ELT qualifications. A Global English PDF certificate is awarded upon successful completion. A printed, embossed version is also available for an extra fee from our TEFL shop page. Click on the certificate to enlarge. Ready to start? Click the Buy Now button below. Our interactive courses are innovative and take a fresh approach to training to teach English. With shorter modules that you can take on a computer (notebook/laptop or PC/Mac) or on a tablet device (ipad/android/windows etc. ), this course offers full flexibility for training on the go. After watching an initial welcome video, you can dive straight in to the course or pick and choose the order of the modules that you work through. 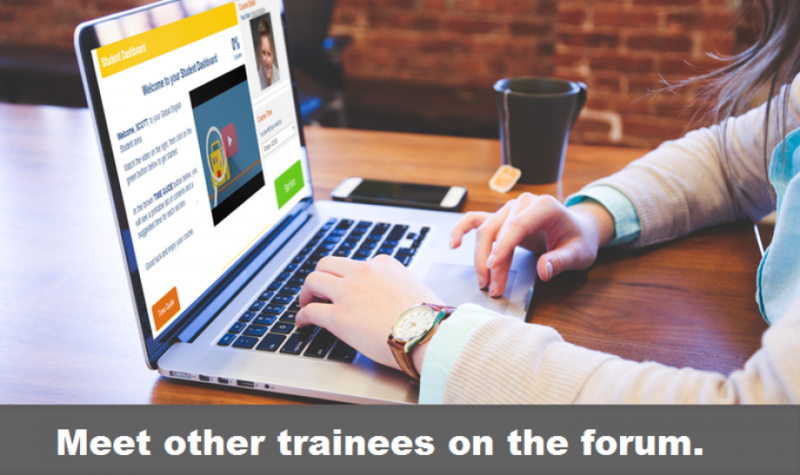 There is access to a personal tutor who will mark your work and the opportunity to share teaching ideas on the Global English forum, all via your own student area. 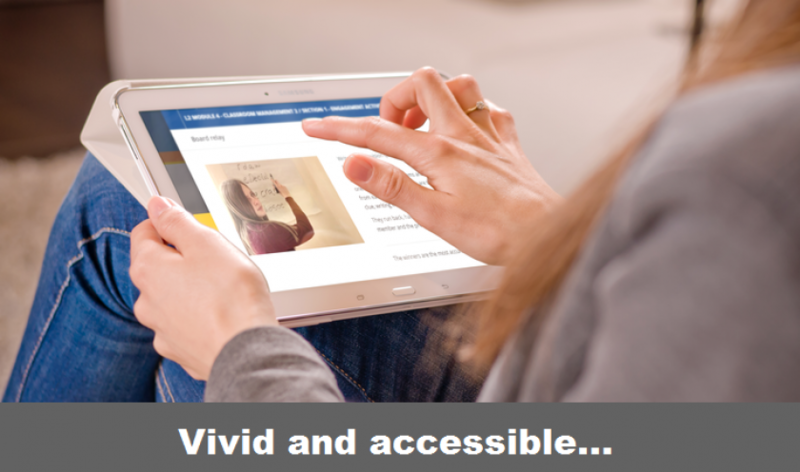 There is easy access to the further research section in each module all in one place, as you explore the hundreds of TEFL website links we have found for you to take your knowledge further. Built in HTML5, you can take this course from anywhere with a good internet connection. You will also need to be able to access YouTube videos from where you are located.